On 15 January, The London Borough of Hammersmith and Fulham passed a resolution to grant planning permission for the development of the Hurlingham Retail Park project, designed by Hopkins Architects. 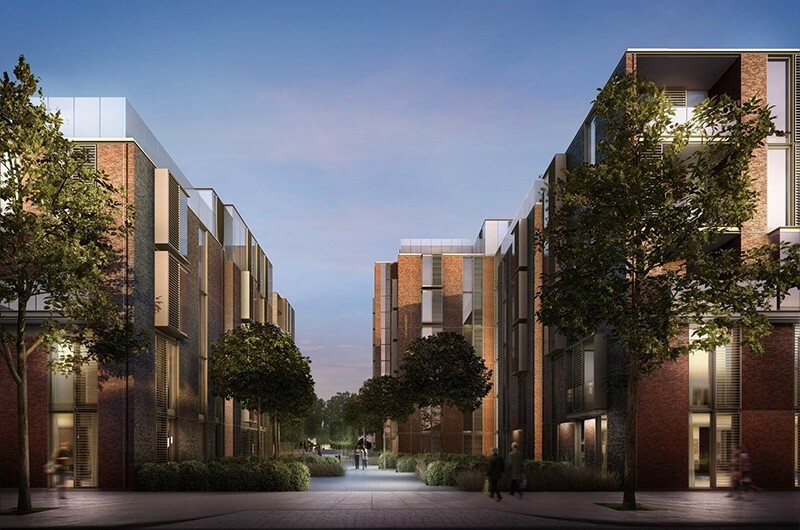 The site, situated adjacent to Wandsworh Bridge and within the South Fulham Riverside Regeneration area, has been developed in conjunction with the owners, Royal London Mutual Insurance Society Ltd, and Londonewcastle acting as development managers. The design-led mixed-use scheme comprises 242 residential units, 3,250 sqm of retail and leisure uses and a variety of high quality public and private spaces within the development, including new public space along the Thames Path designed in collaboration with landscape designer Tom Stuart-Smith.